Oleksandr Usyk has turned heavyweight, and DAZN needs him to have success for a variety of reasons. Is Childish Gambino Dropping A Visual Album With Rihanna Next Week? Does he have a new album? A new movie? Both? The allegations of ‘Russian meddling’ only make sense if they’re put into a broader geopolitical context. Once we realize that Washington is implementing an aggressive “containment” strategy to militarily encircle Russia and China in order to spread its tentacles across Central Asian, then we begin to understand that Russia is not the perpetrator of the hostilities and propaganda, but the victim. The Russia hacking allegations are part of a larger asymmetrical-information war that has been joined by the entire Washington political establishment. The objective is to methodically weaken an emerging rival while reinforcing US global hegemony. Try to imagine for a minute, that the hacking claims were not part of a sinister plan by Vladimir Putin “to sow discord and division” in the United States, but were conjured up to create an external threat that would justify an aggressive response from Washington. That’s what Russiagate is really all about. Even so, the political class has fully embraced the pivot strategy as a last-gasp attempt to roll back the clock to the post war era when the world’s industrial centers were in ruins and America was the only game in town. Now the center of gravity has shifted from west to east, leaving Washington with just two options: Allow the emerging giants in Asia to connect their high-speed rail and gas pipelines to Europe creating the world’s biggest free trade zone, or try to overturn the applecart by bullying allies and threatening rivals, by implementing sanctions that slow growth and send currencies plunging, and by arming jihadist proxies to fuel ethnic hatred and foment political unrest. Clearly, the choice has already been made. Uncle Sam has decided to fight til the bitter end. Washington has many ways of dealing with its enemies, but none of these strategies have dampened the growth of its competitors in the east. China is poised to overtake the US as the world’s biggest economy sometime in the next 2 decades while Russia’s intervention in Syria has rolled back Washington’s plan to topple Bashar al Assad and consolidate its grip on the resource-rich Middle East. That plan has now collapsed forcing US policymakers to scrap the War on Terror altogether and switch to a “great power competition” which acknowledges that the US can no longer unilaterally impose its will wherever it goes. Challenges to America’s dominance are emerging everywhere particularly in the region where the US hopes to reign supreme, Asia. Russia seeks to boost its military presence and political influence in the Mediterranean and Red Seas… mediate conflicts, including engaging in the Middle East Peace Process and Afghanistan reconciliation…. “U.S. Secretary of State Hillary Clinton described efforts to promote greater economic integration in Eurasia as “a move to re-Sovietize the region.”…. Why? Because they are successfully implementing their own development model which is NOT programed to favor US financial institutions and corporations. That’s the whole thing in a nutshell. The only reason Russia and China are a threat to the “rules-based system”, is because Washington insists on being the only one who makes the rules. That’s why foreign leaders are no longer falling in line, because it’s not a fair system. These assessments represent the prevailing opinion of senior-level policymakers across the spectrum. (The White House, the Pentagon and the Intelligence Community) The USG is unanimous in its judgement that a harsher more combative approach is needed to deal with Russia and China. Foreign policy elites want to put the nation on the path to more confrontation, more conflict and more war. At the same time, none of these three documents suggest that Russia has any intention of launching an attack on the United States. 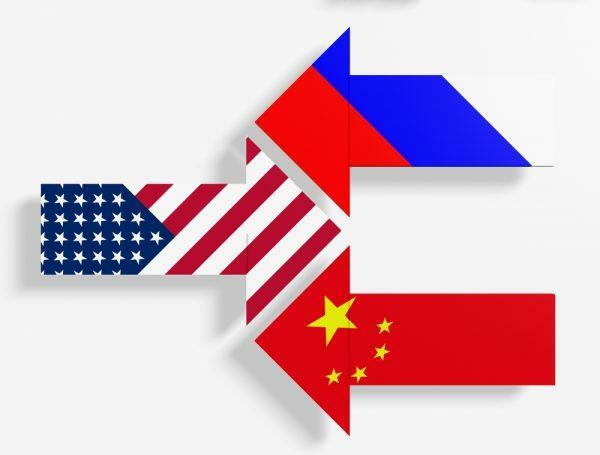 The greatest concern is the effect that emerging competitors will have on Washington’s provocative plan for military and economic expansion, the threat that Russia and China pose to America’s tenuous grip on global power. It is that fear that drives US foreign policy. The USG now sees the minds of ordinary Americans as a legitimate target for their influence campaigns. They regard attitudes and perceptions as “the cognitive domain of the battlespace” which they must exploit in order to build public support for their vastly unpopular wars and interventions. 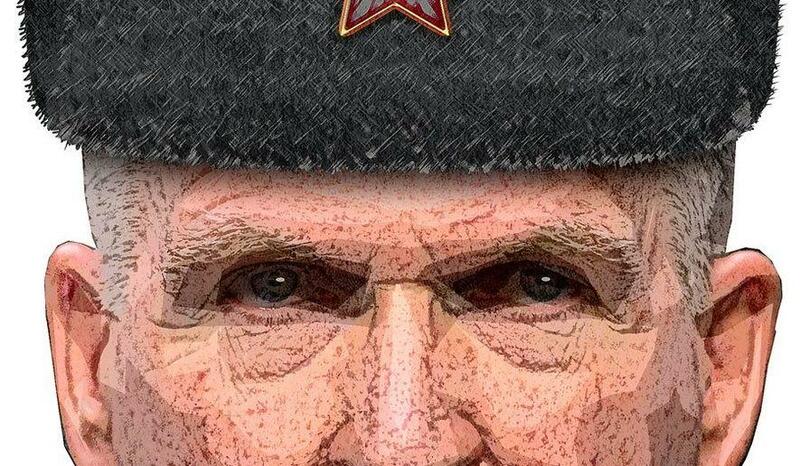 The relentless Russiagate narrative (which was first referred to the FBI by the chief architect of the Syrian War, former-CIA Director John Brennan) represents the disinformation component of the broader campaign against Russia. Foreign policy elites are determined to persuade the American people that Russia constitutes a material threat to their security that must be countered by tighter sanctions, more sabre-rattling, and eventually war. While the deadline for filing your income taxes is in April, you can file a six-month extension to change the deadline to October. After a three-decade boom, the Australian economy is finally facing a recession. The outlook for the economy is exceptionally bleak this year, as the decline in housing prices is more widespread than thought, according to a new report from CoreLogic. National home prices recorded a month-on-month decline of 0.60% in March, which CoreLogic noted was the smallest rate of monthly decline since October. “While the pace of falls has slowed in March, the scope of the downturn has become more geographically widespread,” CoreLogic head of research Tim Lawless said. 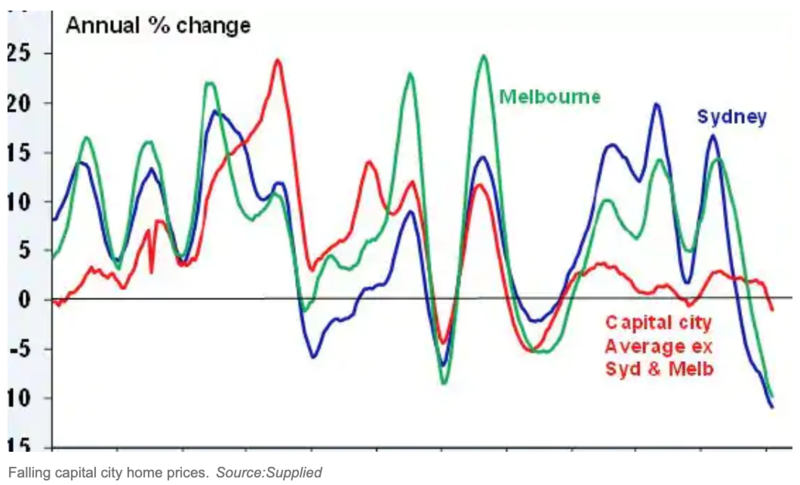 All eight capital cities in Australia posted declines, with Sydney recording the most significant price drop of .90% month-on-month. 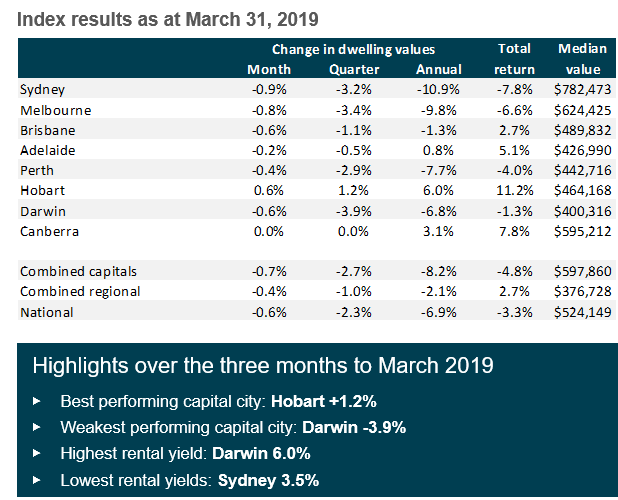 Quarterly, the value of single-family homes and condos declined 3.9%, followed by Melbourne (3.4%), Sydney (3.2%), Perth (2.9%), and Brisbane (1.1%). Prices in Canberra were unchanged. 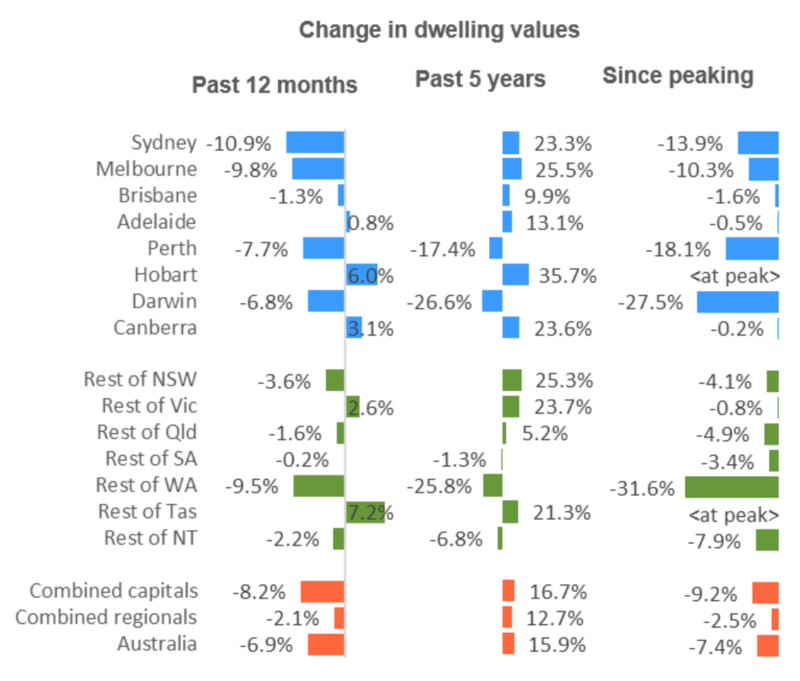 Sydney recorded the most significant annual decline of 10.9%. Melbourne followed with 9.8%. Australia’s regional housing markets have also deteriorated. Regional areas outside Sydney declined by 3.6% over the past year while regional Queensland saw a 1.6% decline. Lawless said Australia’s economy is faltering – intensified by the real estate crisis – making it “increasingly likely” that the Reserve Bank of Australia (RBA) will slash interest rates in the coming quarters. RBA’s interest rate has been hovering at 1.5% for two years. The expectation of two cuts would take the rate near the zero lower bound (.5%). “While any cuts to the cash rate may not be passed on in full, a lower cost of debt will provide some positive stimulus for the housing market,” he said. “As dwelling prices trend lower or level out, household incomes are edging home and mortgage rates remain around the lowest level since the 1960s. Even if the RBA cut rates in the near term, it wouldn’t bring back property boom prices observed several years ago. Australia’s housing meltdown is expected to deteriorate into 2020, with no end in sight. The New England Patriots have never taken a wide receiver in the first round of the NFL draft under head coach Bill Belichick. But this may be the April for the war room to break pattern. This year, the world commemorates the anniversaries of two key events in the development of the global monetary system. The first is the creation of the International Monetary Fund at the Bretton Woods conference 75 years ago. The second is the advent, 50 years ago, of the Special Drawing Right (SDR), the IMF’s global reserve asset. When it introduced the SDR, the Fund hoped to make it “the principal reserve asset in the international monetary system.” This remains an unfulfilled ambition; indeed, the SDR is one of the most underused instruments of international cooperation. Nonetheless, better late than never: turning the SDR into a true global currency would yield several benefits for the world’s economy and monetary system. 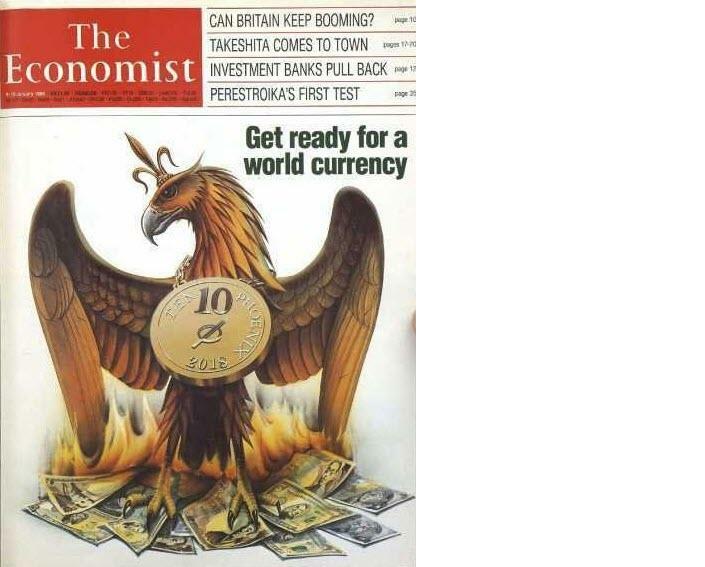 The idea of a global currency is not new. Prior to the Bretton Woods negotiations, John Maynard Keynes suggested the “bancor” as the unit of account of his proposed International Clearing Union. In the 1960s, under the leadership of the Belgian-American economist Robert Triffin, other proposals emerged to address the growing problems created by the dual dollar-gold system that had been established at Bretton Woods. The system finally collapsed in 1971. As a result of those discussions, the IMF approved the SDR in 1967, and included it in its Articles of Agreement two years later. Although the IMF’s issuance of SDRs resembles the creation of national money by central banks, the SDR fulfills only some of the functions of money. True, SDRs are a reserve asset, and thus a store of value. They are also the IMF’s unit of account. But only central banks – mainly in developing countries, though also in developed economies – and a few international institutions use SDRs as a means of exchange to pay each other. The SDR has a number of basic advantages, not least that the IMF can use it as an instrument of international monetary policy in a global economic crisis. In 2009, for example, the IMF issued $250 billion in SDRs to help combat the downturn, following a proposal by the G20. Most importantly, SDRs could also become the basic instrument to finance IMF programs. Until now, the Fund has relied mainly on quota (capital) increases and borrowing from member countries. But quotas have tended to lag behind global economic growth; the last increase was approved in 2010, but the US Congress agreed to it only in 2015. And loans from member countries, the IMF’s main source of new funds (particularly during crises), are not true multilateral instruments. The best alternative would be to turn the IMF into an institution fully financed and managed in its own global currency – a proposal made several decades ago by Jacques Polak, then the Fund’s leading economist. One simple option would be to consider the SDRs that countries hold but have not used as “deposits” at the IMF, which the Fund can use to finance its lending to countries. This would require a change in the Articles of Agreement, because SDRs currently are not held in regular IMF accounts. The Fund could then issue SDRs regularly or, better still, during crises, as in 2009. In the long term, the amount issued must be related to the demand for foreign-exchange reserves. Various economists and the IMF itself have estimated that the Fund could issue $200-300 billion in SDRs per year. Moreover, this would spread the financial benefits (seigniorage) of issuing the global currency across all countries. At present, these benefits accrue only to issuers of national or regional currencies that are used internationally – particularly the US dollar and the euro. More active use of SDRs would also make the international monetary system more independent of US monetary policy. 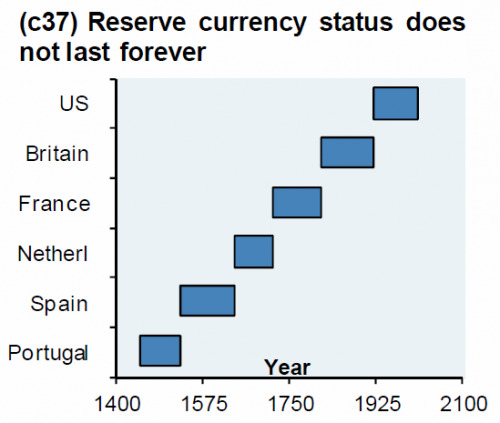 One of the major problems of the global monetary system is that the policy objectives of the US, as the issuer of the world’s main reserve currency, are not always consistent with overall stability in the system. In any case, different national and regional currencies could continue to circulate alongside growing SDR reserves. And a new IMF “substitution account” would allow central banks to exchange their reserves for SDRs, as the US first proposed back in the 1970s. SDRs could also potentially be used in private transactions and to denominate national bonds. But, as the IMF pointed out in its report to the Board in 2018, these “market SDRs,” which would turn the unit into fully-fledged money, are not essential for the reforms proposed here. Nor would SDRs need to be used as a unit of account outside the Fund. The anniversaries of the IMF and the SDR in 2019 are causes for celebration. But they also represent an ideal opportunity to transform the SDR into a true global currency that would strengthen the international monetary system. Policymakers should seize it. We are being primed and propagandized to desire this inevitability! Coming just a day after the Saudis threatened to end the Petrodollar, Ocampo’s op-ed is well-timed to say the least. As we noted previously, nothing lasts forever. All recessions have commonalities as well as unique characteristics. Federal Reserve tightening is a common cause, though not the exclusive cause of recession. Most important, contingency planning is the most reliable way to protect a business, family or government agency from a recession.